A Psychsynthesis approach to Organizational Transformation, by Michael H. Brown..
by Michael H. Brown, Ed.S. An abbreviated version of this article appears in the book, Organizational Transformation: Approaches, Strategies, Theories, edited by Amir Levy and Uri Merry (Westport, CT: Greenwood Press, 1986). This article describes the theory and practice of Organizational Transformation (OT), as applied by the author in a two day retreat with the directors of a group called the American Wildlife Society (AWS). The purpose of this article is to discuss cutting edge concepts, methods, and procedures for developing the human resources fundamental to achieving maximum personal productivity, responsibility and accountability of people in leadership roles, excellence within small working groups, dynamic group cohesion, and organizational effectiveness. The most significant aspect of this article is the presentation of a model for the evolution of consciousness called Psychosynthesis which asserts that there is a source of genius or inner wisdom within each of us which must be discovered, tapped, and utilized to achieve both personal and organizational transformation. 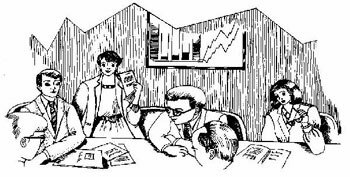 In the fall of 1983, I was called in to conduct a process of Strategic Planning for an organization which I will call the American Wildlife Society (AWS). There were six departments within AWS: fund raising and membership, programs, public relations, the AWS Magazine, administration, and endangered species. There were six directors and a support staff of 18 at the national headquarters. The recession was on, the budget was shrinking, memberships had fallen off, fund raising was not bringing in the necessary contributions, and participation in public programs had dwindled. The combination of these facts had forced the firing of four staff persons. The endangered species department, operating on a federal grant, was secure for nine months, but it was time to prepare for grant renewal, and the budget of the granting agency had just been slashed by 60 percent. For six months, communications within the AWS had been tense and strained. The directors were so busy keeping their particular projects afloat that there had been little time for dialogue between them. Major decisions were being made quickly, with little or no sense of purpose except the survival of specific projects, and the future seemed every bit as uncertain as was the present. Six men and women needed to clarify realities within their individual departments, and arrive at a comprehensive sense of direction with which to manage the organization as a whole. They needed to acknowledge and deal with the effects of bad communications in the recent past. They had to deal with personal, staff, and organizational issues, and formulate concrete plans for each department for the next six months. There was, in short, a tremendous need for strategic planning and organizational renewal. The directors of the AWS decided to get away from the pressures of their daily responsibilities and take a two-day retreat to accomplish this. They knew nothing about human resource development, or the process of OT, but they were willing to give it a try. I was hired to conduct a retreat intended to help them improve communications, clarify values, develop a stronger team spirit, and accomplish some hard headed but creative problem solving. The program took place at a retreat facility 45 miles from town. How do we facilitate a process of Organizational Transformation for an organization like the AWS? Let's sneak up on the question one step at a time, and carefully develop an awareness of what this complex process is all about. Let's begin with a general understanding of group dynamics. What elements go into the formation of groups which are vibrant, productive, and alive? What dynamics help groups stay aligned with purpose, remain productive and profitable, and survive over time? Groups which work best are those in which people share a common purpose, vision, or goal. This purpose, vision or goal touches each person individually in an important way, and each person has a stake in its successful realization. Members surrender something of themselves to belong to the group, to cooperate and work together, and direct their energies toward the realization of the common goals. Through such efforts, groups take on a life of their own, develop their own unique cultures, and provide members with pride, satisfaction, and an important sense of belonging, and reward them well for work well done. In staff meetings, case conferences, planning sessions and the like, participants must contribute their best energies in order for the group to succeed. If authentic communication and mutual respect are present then there is a much greater likelihood that members will take ownership of, make a personal commitment to, and cooperate in accomplishing the tasks at hand. Organizations that invest in the development of human resources become more capable, effective, and profitable over time through a combination of creative leadership, good decision making, appropriate risk taking, clear communications, and strong group spirit. At a minimum, organizations that invest in the development of human resources lose fewer of their most talented personnel to stress related illness or to the lure of better money elsewhere. We are only beginning to understand the effects which can result from the development of the latent human resources within individuals and groups. We are only just beginning to understand how important it really is to understand and invest in a process of Organizational Transformation. Let's take a look at the psychology of consciousness for a moment and ask a fundamental question: what is consciousness? Webster defines consciousness as the awareness of one's thoughts, feelings and impressions. But who or what is conscious? It is the 'Self' within us that is conscious (Perry, 1953; Assagioli, 1965; Eastcott, 1973). The brain is the organ of consciousness, and is divided into two hemispheres, left and right. Recent neuro-physiological research suggests that each side of the brain has different functions (Hoppe, 1977, 1978; Watzlawick, 1978; Ornstein, 1986). The left side of the brain helps us handle outer directed activities, and controls rational, logical, and analytical functions of consciousness. The left brain helps us perceive, understand, and respond to realities in the world around us in discreet detail. When stimulated, perhaps left brain activity helps us bring on line the energies required to achieve specific goals or objectives--energies such as will, strength, and endurance. Many of the directors at the AWS approached their supervisory or managerial roles in a 'single minded' way, using almost exclusively the functions of the left side of their brains. "Hard skills" and technical abilities needed to manage projects, balance books, handle details, manipulate information, require a high degree of left brain activity. The right side of the brain helps us handle inner directed activities, and connects us to a sense of meaning and purpose. It controls the imaginative, intuitive, and creative functions of consciousness. The right brain helps us perceive, understand and respond appropriately to the powerful dynamics within other people and within ourselves; see life from a higher point of view; generate visions of a more fulfilling future. When stimulated, perhaps right brain activity helps us bring on line energies which enhance our quality of being, such as compassion, empathy, and love. Balanced communication between the left and right sides of the brain result in a state that we can call whole brain thinking. In the workplace, few people fully utilize their brain potential or their human resources. Some may be strong in logic, reason and analysis, but need to develop clear insight, empathy, and creative problem solving abilities. Others may be quite imaginative, but unable to manage their time well, or accomplish tasks at hand. When our brains are fully functioning, when we are using our human resources to a maximum degree, personal productivity, job satisfaction and organizational effectiveness increase, and we live truly fulfilling lives. Moving from this brief description of how the brain operates, let's tackle the question of transformation next. Important insights into the process of transformation are emerging from a new field called Transpersonal Psychology (Tart, 1975; Walsh, 1980; Wilber, Engler, & Brown, 1987). The concept of transformation is powerful and complex. It represents a complete change of consciousness from one level of operation to a higher more integrated level of operating. Transformation implies the awakening of new levels of awareness; a fundamental resolution of the internal causes of stress; the discovery and clarification of essential values; the creation of new goals through which to manifest these values in the world; and the redirection of basic energies toward a higher and more fulfilling purpose. In short, transformation requires whole brain thinking, a willingness to explore uncharted territory and blaze new trails, and the capacity to utilize new energies in the realization of stated visions, objectives or goals. It is obvious that something significant must take place to facilitate a process of transformation. Proven techniques exist today to help individuals and organizations access deeper levels of awareness if they are willing to develop their human resources. The stage is now set for personal and organizational transformation through training in, and the use of, methods such as relaxation techniques, reflective writing, visualization, guided imagery, graphic and symbolic art. These, and a wide array of other methods, can empower and balance both sides of the brain and must be employed to confront, understand and resolve specific problems, and develop latent human resources. To effect Organizational Transformation, we need to create a synthesis of personal, interpersonal, and organizational resources. But what, exactly is meant by the term synthesis? Webster defines synthesis as: 1) the putting together of parts or elements so as to form a whole; and 2) the unified whole in which opposites are reconciled. For an understanding of the principle of synthesis, let us consider the human body. The brain, liver, kidneys, heart, muscles, spleen, etc. Each have their separate functions and roles to play. But through the coordination, integration, and synthesis of their activities, the miracle of life results. The question of consciousness is similar to this. Responsive, adaptive, and creative consciousness emerges as a high level of activity--a synthesis of physical, emotional, mental and spiritual potentials within and between individuals and/or groups. The AWS was clearly alive, but as an organism it was not particularly conscious. Each director was acting on his or her own behalf, with no sense of connectedness or integration with the other directors or departments. In fact, there was animosity between many of the directors and, by consequence, between their various departments. We can keep bodies alive long after consciousness has slipped away through the use of life-support systems. The same was true within AWS. The leadership was strictly from the top down; departments were doing their separate things with little communication or cooperation between them; and individuals were working blindly on task with little ownership of the work they were doing or sense of the meaning of their work to the overall realization of organizational goals. Like a body lacking consciousness, the AWS was lacking a dynamic field of awareness, coordinated activities, guiding principles, and most significantly, a strategic plan. Because of this, it was vulnerable to shifting economic conditions, attack from the outside, critical errors in judgment, and internal strife. Surely there was a need to empower, integrate the efforts of, and work toward a synthesis of energies among the directors of the AWS during the two day retreat. But how do we raise or transform consciousness within individuals or groups? Where can we turn for some kind of blueprint to guide this important process? The model of Psychosynthesis provides us with a way to understand both the nature of consciousness and the process of transformation. Psychosynthesis is a psychological and educational approach to the development of human resources, the principles of which were first articulated by the Italian Psychiatrist Roberto Assagioli (Assagioli, 1965). In blending the traditional wisdom of Eastern and Western science, philosophy, and psychology, Assagioli gave us a view of man that reflects a positive and productive attitude toward life; a view that recognizes authentic individuality as the key to personal, organizational, and societal transformation. Psychosynthesis provides a model for understanding, and a process for arriving at, the synthesis of personal, interpersonal, and organizational resources. It has wide application in Psychology, Education, Medicine, Business, the Arts and even Religious Studies, and has particular application for strategic planning and team building. There are more than 40 Institutes of Psychosynthesis around the world. In the United States, a growing number of Colleges and Universities offer Master and Ph.D. degrees in, or with special emphasis in, Psychosynthesis. Let us take a look at Psychosynthesis and its way of describing how each of us expands our awareness of who we are, from where we come, and toward what we may be growing. We can look at our case study through the lens of Psychosynthesis and gain some degree of clarity about the situation at AWS in the fall of 1983. I-Awareness (5). Moments of "I-awareness" are usually brought on by a crisis of some sort, when normal comfortable modes of operating no longer function well, and change is imminent. This was certainly true at the AWS. Crises forced the directors to become conscious, as it were, and arrive at a clear understanding of the need for a retreat to explore the issues confronting them. They chose to focus and empower their individual and collective "I AM" center of awareness. Field of Awareness (4). Our consciousness is always focused somewhere, on something, and what it is focused on is in our "field of awareness." The directors of the AWS were challenged to become aware of the plight of their six departments, to focus on, and bring into their field of awareness, specific problems and possible solutions, and consider probable scenarios for organization growth in the future. Middle Unconscious (2). In the middle unconscious exists all the information we regularly need to deal with the issues, challenges, and opportunities at hand. The middle unconscious represents that domain of consciousness in which effective time management, prioritizing tasks, appropriate delegation of responsibility, and accountability is accomplished. It is therefore very important to be able to focus awareness on this level in an excellent way. Lower Unconscious (1). This is the hidden side of awareness because this level represents not only our basic needs, drives and desires, but also the source of our difficult issues and realities: unresolved conflicts, resistance, fear and negativity. This level must be explored in order to identify the individual, group, or environmental obstacles which must be dealt with in order to fulfill important goals. Few organizations are willing to spend the necessary time exploring this important level of consciousness. The AWS had never dealt with this dimension and found itself scattered and floundering as a result. Several of the departments were in serious trouble, yet their directors were trying to cover their trail as best they could, to hide or distort present difficult realities with the hope that things would (somehow magically) get better over time. But it is precisely when we are in trouble that we most need to be honest and forthright in our communications with ourselves at least, and perhaps with our peers and superiors as well, in order to gain the guidance and collective wisdom necessary to resolve problems and continue to work toward collective goals. Higher Unconscious (3). In this domain resides all the undiscovered talents, abilities, capacities and potentials that an individual or group may develop. All that we can become, that we have not yet realized or actualized can be said to exist on this level of the psyche, waiting to be accessed, explored and brought on-line. The directors of the AWS needed to identify the human and organizational resources, planning methods and techniques which might be employed to achieve greater organizational effectiveness. It was important for these men and women to expand their field of awareness beyond a crisis and coping orientation, renew their energies, and find new directions toward which to move. It was important that they recognize and acknowledge their interdependence, begin to cooperate again, and move toward the synthesis of their individual and collective energies. Higher Self (6). For a system to mature, it must make use of internal and external resources, develop its potential, and evolve within logical and well defined boundaries inherent to itself. Within all living forms there exists a principle of growth which guides and directs its natural unfolding. Just as the growth of crystals conforms to an implicit developmental process, and the growth of bodies fulfills a genetic code, so must the growth of personality within individuals or groups. Throughout the ages men have been intuitively aware of the existence of such a principle of growth, a source of guidance and inspiration. The ancient Romans worshiped it as the "genius" native to each individual. In folk tales from the Middle East, this metaphysical principle underlies the concept of the wise and powerful "Genie" which one must unleash from the bottle (from the unconscious) to have all one's needs fulfilled. In Psychosynthesis, this principle is called the Higher Self. Psychosynthesis asserts there is a guiding principle within each of us to which we each must turn to develop the rich inner resources necessary for growth and transformation, and to achieve Self- actualization. At the AWS, six people needed wisdom about a number of important issues to heal and empower the organization. They needed to connect to such a source of genius to clearly understand individual and departmental problems, and find ways to resolve them. Collective Unconscious (7). No individual or group exists in a vacuum. Each is impacted by the external environment, other people, the culture in which we live, and history. These forces play an important role in the evolutionary process, and have a tremendous impact on the shape or final outcome of growth. These forces are thought to exist outside the immediate parameters of the individual or group, and so are said to exist in what Carl Jung called the collective unconscious. The lines between each level of consciousness are semi-permeable, which suggests that no boundaries are ultimately solid or fixed. Everything is interdependent and can be reached, and separation is a costly illusion for which we pay a high price. This has been a brief description of the model of Psychosynthesis: a complex and important model which can structure our thinking about the situation at the AWS. 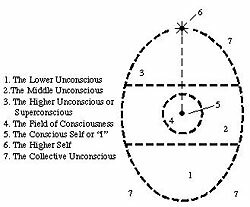 We have spoken about an inner guiding principle, the Higher Self, and we have spoken about three distinct levels of consciousness: the lower, higher and middle unconsciousness. There were four operational questions which had to be answered, honoring each level: 1) What are the present departmental realities about which I must be most concerned? 2) What is the best and most realistic vision of the future for my department? 3) What blocks, fears or defenses might inhibit or prevent me from helping my department realize this vision? 4) What specific steps must I take to move my department toward the realization of my vision of its future? These are graphed below. Point A. A crisis had developed at the AWS, and the need for a focused "I awareness" had been activated. The directors chose to become conscious of the situation by taking a two day retreat and confronting their issues and concerns. Change needed to occur (hopefully transformation) and they wanted to take advantage of this retreat to get clear individually so that they could improve the health of the organization. The first question each director had to confront was, "What are the present realities within my department about which I must be most concerned?" They begin with an analysis of all the relevant information in their field of awareness, and in the middle unconscious, to clearly perceive the present situation. Point B. Once the present realities were seen and clearly understood, the directors had to ask themselves what growth step or evolutionary movement was possible. They needed to know what new directions would be required to bring their departments back on line, in order to improve the well-being of the AWS as a whole. The second question each director had to confront was "What is the best and most realistic future for my department?" By exploring their higher unconscious they could discover a vision of a more effective and satisfying future. Point C. When they had gotten a new sense of purpose and direction, they had to anticipate the difficulties they would encounter in trying to make their new programs happen. The directors had to identify the lower unconscious dynamics within themselves that might sabotage endeavors. The third question each director had to confront was "What blocks, fears or defenses might inhibit or prevent me from helping my department realize this future?" Point D. Having identified the likely problems that would arise, it was time to make some concrete action plans. The last question the directors of the AWS had to confront was "What specific steps must I take, now and in the next month or so, to move my department toward the realization of this vision of the future?" With this clear awareness, each director could move forward with the power of deliberate action. Point E. The directors returned to the AWS with energy and enthusiasm to effect important changes in their departments. Point F. They quite naturally came up against resistance within individuals, the organization, and the broader environment as they worked to ground and integrate their action plans. Point G. The directors, clear about what had to happen, were able to stay with the process, work through emerging issues, and accomplish much of what they had been inspired to do. Eventually they would come to the end of the energy and inspiration generated by this retreat and would need to enact such a process again, one way or another. 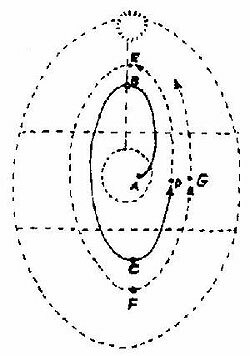 The model of Psychosynthesis offers a way of understanding the evolution of consciousness through the compelling image of the spiral. Each cycle takes us deeper into our possibilities as we continue growing. If we flatten and view it from the side, we see a sine wave that increases in amplitude over time. As we continue to grow, we can experience greater productivity, fuller living, deeper love and the realization of our most cherished goals. That's the good news! The bad news is t it depends on our willingness to dig into the lower unconscious and confront that which we fear and all that gets in the way of growth. This model helps us realize the importance of exploring both the lower and higher unconscious. It helps us realize that the journey of life is about the expansion of consciousness and the actualization of latent human resources. After we have experienced these cycles a few times, and begin to understand how evolution operates in us, we begin to trust the process. Bleak days do give way to sunny. The hard times become the testing ground of our intention, courage, and commitment. They strengthen and challenge us to ever create new forms that will embody and reflect authentic movements in our hearts and souls. Through this process we learn to build on the firm foundation of our deepest truth and gradually, over time, approach the realization of our individual and collective potential. In the following section, I describe some of the specific methods and techniques employed during the retreat to help the directors of the AWS address the issues which were confronting them. My intention in working with the directors of the AWS was to help them identify and deal with their problems. At the same time I wanted to empower and inspire them in the process and help them develop the deeper resources within themselves. I employed a process I have created called Creative Explorations of Inner Space (CEIS) four times with the group. This process helps participants relax, tune into their Higher Selves, explore their lower, middle and higher unconscious, balance the two sides of the brain and discover exciting new energies within them. I will outline the CEIS process that I used with the directors of the AWS. This 11 step process takes about an hour to experience and another thirty minutes or so to integrate in small groups. Step 1: Preparation. The most important first step is to make sure the environment will support the experience, and will remain quiet and undisturbed. Preparing the external environment might be called a left brain activity. Blank paper on which to write and draw, and art materials such as oil pastels, colored felt-tip pens and magic markers were provided. Step 2. Deep Relaxation. Participants were asked to close their eyes and tune into themselves. They were instructed to focus their awareness on the experience of breathing; letting this natural rhythm carry them into deep relaxation. I spent 10 minutes or so helping them let go on deeper and deeper levels and get into a centered or "I am" state of awareness. Deep relaxation is a right brain activity. Step 3. Reflective Thinking. At the beginning of each CEIS process, I had the directors write on the top of their papers a focusing question such as, "What are the present realities in my department with which I must be most concerned?" I gave them 10 minutes to do a thorough review of their important issues and concerns, to write down in outline form the contents of their reflections. This reflective process is a left brain operation. Step 4: Receptive Thinking. The participants were asked to sit in a quiet and receptive way with eyes closed and allow deeper thoughts and feelings to come into their field of awareness. Some of the more subtle issues and dynamics were identified through this step and as they were, the people were asked to open their eyes and write them down on their paper. They would move from receptive meditation to writing and back to the receptive meditation again. I let this go on for about 5 minutes. This is an important step because it reveals aspects of an issue or problem of which we are seldom aware: the emotions we feel, underlying principles at work, and deep insight. Step 5: Visualization. Participants were again asked to close their eyes and breathe deeply a few times. Then they were asked to allow a mental image to come into their field of awareness that would express in a visual way all the cognitive information of which they had become aware. They were advised to deal with the very first image that came to mind; to focus on this image with full attention, noticing the size, shape, color, and context of the image. They were asked to pay particular attention to how they felt or emotionally resonated with the inner image. Visualization is a right brain activity. Step 6: Symbolic Drawing. Next, participants were asked to make drawings of their images. They were given as much time as was necessary to accomplish this task so that each one could, in his or her own unique way, fully express him or herself. They were also advised not to be concerned with the artistic value of the drawing. Intellectual judgment or perfectionistic criticism prevent the symbolic drawing from occurring in a fluid manner. These symbolic drawings begin to reveal the delight, wonder, and power of the CEIS process. For instance, all the "I can't draw, I'm no artist" belief systems disappear as these drawings leap onto the paper. Symbolic drawing is a whole brain activity since participants need to both remember the inner imagery and work with materials to recreate it on paper. Step 7: Cognitive Analysis. The directors were asked to analyze their drawings in writing and in detail for about 10 minutes. "What is the image? Describe it in words fully. What does it stand for? How does it pull your thoughts and feelings together in a synoptic way? What does it mean to you? What does it reveal to you about your department that you might not have appreciated earlier?" Participants are focused on the struggle to understand and interpret the meaning of right brain imagery in this left brain activity. Step 8: Symbolic Dialogue. Participants were then asked to close their eyes again, take a few deep breaths and bring the image back into their field of awareness. Only when they could visualize the image very clearly were they to ask this question directly to the image: "What do you have to teach me at this moment in my life?" They were instructed to listen with their intuitive minds to the answers that would come into their field of awareness, and then write the answers down beneath their drawings. After a few minutes they were invited to ask the image this question once again, or any other clarifying questions that came to mind, then write down the responses. Symbolic dialogue is another whole brain activity. The conscious personality through the left side of the brain asks the image what it has to teach, and the Higher Self responds through the right brain. Startling responses emerge into awareness. This symbolic dialogue constitutes a deep communication between the "I am" and the principle of growth--the Higher Self. Step 9: Symbolic Identification. Participants were next asked to stand up with their eyes closed and allow the image once again to return to their field of awareness. Visualizing the image clearly, these men and women were asked to let themselves go in imagination, to become one with the image, move into it, let it move into them physically. They were asked to allow their bodies to move, gesture, assume whatever posture would best express the living reality of their images; also to allow sounds, noises or spontaneous music to emerge. Initially there was a strong sense of awkwardness and resistance to this process, since this technique was asking the participants to really commit themselves wholly to an exploration in depth, but with some gentle encouragement, everyone was able to push further into this exploration. Symbolic identification helps us respond to the guidance of the Higher Self. It is a whole brain activity since we are merging and becoming one with this inner image with our entire body, feelings and mind. This is generally the most difficult step in the CEIS process. All of us have resistance to seeming foolish to ourselves or others. But this is often the most powerful step as well. Our bodies awaken, new channels of energy and neuronal pathways open up, cascading vibrations flow through us, emotions get released and insights are born in a truly inspiring way. When the people from the AWS completed this step, I had them document their experiences in detail. Step 10: Grounding. Participants were asked to reflect on the implications of all they had experienced in this Creative Exploration of Inner Space and write down their reflections. Then they were asked to share their experiences with each other. One by one they told their stories, shared their insights, revealed the meaning of their drawings, and talked about the messages they received from them. Each spoke as much about him or herself as about departmental realities. Everyone listened with rapt attention, respect, caring and appreciation. In this grounding, sarcasm, humor, and one-upmanship were virtually absent, replaced by openness and respect. In this grounding and sharing step, everyone listened to each other with the same respectful attention. Emotions flowed; bonds were built between people by virtue of the depth of the communication. Gradually it became clear that outer problems and inner issues reflect one another, and it became clear that this kind of inner work and resource development was necessary for creative problem solving. In drawing, the creator in us emerges. The hidden energy and ability. It startles and amazes, excites and informs. The process speaks of our makeup, our priorities, our personality. Finally, the writing about our drawings again focuses more depth on the subject. And formulating a message from the drawing is really magic. Here we tell ourselves what our soul knows. For those of us out of touch with our inner core, it is a blessing to hear this voice! Each method and technique is important in and of itself, and can be used to address specific human problems and develop specific human resources (see summary chart, page 19). Combined in the CEIS process, they provide a powerful process for gaining important insights and releasing significant energies that can lead to transformation as we develop our capacity to express our inner wisdom through action in the world. Once again, the ever widening image of the spiral can serve to help us understand a process for the realization of individual and collective potential, and the fulfillment of our personal, professional, or organizational visions and goals. The directors of fund raising and membership, programs, public relations, the AWS Magazine, administration, and endangered species came together frightened and fatigued, under pressure and feeling alone. They left rested, personally empowered and collectively inspired, open to their own intuition and inner guidance, and united in a dynamic sense of fellowship. The transformation of the AWS became a little more possible by virtue of the willingness of its directors to take a deeply human inner journey, to connect with their own Higher Selves, to access the vast reservoir of human potential within them, and then to strategize the grounded and specific changes which needed to occur. Each came away with a specific action plan to enact. Each knew what the others were wrestling with and needed to do. They supported one another in the weeks and months ahead. Their individual plans went forward pretty much as envisioned, allowing for the expected modifications that necessity and the real world demanded. Changes occurred in the way many of the meetings at the AWS were structured. Whenever possible, they took the time for relaxation and inner tuning before confronting meeting agendas, if the collective wisdom of the group (or within certain working teams) was required. The directors hung their drawings in their conference room, side by side, documenting their changes and growth in awareness. These symbols became the organizational icons for a while. Communications within the AWS demonstrably improved among the directors and between their staffs. There was a renewed sense of purpose for everyone and this spirit radiated outward in subtle waves of influence to those whom they served. Obviously, the work of transformation is much more complex than simply running people through a specific process. No single process will, by itself, unlock the vast hidden potentials within us. The process of transformation is affected by many factors, not the least of which being the quality of caring attention, the integrity, and skill of the person who is the guide. Because this journey takes us to the very roots of consciousness, authenticity is essential in helping people trust enough to enter a process of transformation. Transformation requires us to be both sensitive and creatively adaptive to the realities around us. There are many constraints and limitations which can prevent transformation from occurring within individuals and organizations, not the least of which is the fear of change. Transformation is a powerful concept, a powerful work, and creates a significantly new reality when it occurs, and we need to be very careful in leading others to and through it. To effect organizational transformation, we must be able to help people access, develop, and bring on line their latent human resources in a process largely guided by their Higher Selves. We can create the context in which the work occurs. We can provide the technology with which to link others to this inner principle of growth. We can help them understand and clarify the insights and imperatives they receive in their creative explorations of inner space. And we can hold them accountable for applying what they have learned in relevant and appropriate ways. But ultimately it is up to them to make the changes, and pay the difficult dues, necessary to effect an ever unfolding process of transformation in their personal, professional, and organizational lives. Assagioli, R. (1965) Psychosynthesis. New York: The Viking Press. Eastcott, M.(1973) The Silent Path. New York: Samuel Weiser. 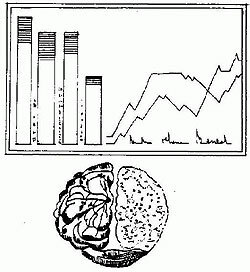 Hoppe, K. (1977) "Split Brain and Psychoanalysis." Psychoanalytic Quarterly. 46, 220-244. Hoppe, K. (1978) "Split Brain--Psychoanalytic Findings and Hypotheses." Journal of American Academy of Psychoanalysis, 6(2),193-213. Ornstein, R. (1986) The Psychology of Consciousness. New York: Penguin Books. Perry, J. (1953) The SELF in Psychotic Process. Berkeley: University of California Press. Tart, C. Ed. (1975). Transpersonal Psychologies. New York: Harper and Row. Walsh, R. (Ed). (1980) Beyond Ego. Los Angeles: J.P. Tarcher. Watzlawick, P.(1978) The Language of Change: Elements of Therapeutic Communication. New York: Basic Books. Wilber, K, Engler, Jack, & Brown, Daniel. 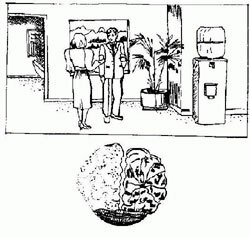 (1987) Transformations of Consciousness. Berkeley: Shambhala. Arguelles, J., Mandala. Berkeley, CA: Shambhala, 1972. Blanchard, Kenneth & Lorber, Robert, Putting the One Minute Manager to Work. New York: William Morrow and Company, Inc., 1984. Bolles, Richard Nelson, What Color is Your Parachute? Berkeley, CA: Ten Speed Press, 1977. Bonny, H., Music and Your Mind. New York: Harper & Row, 1973. Capra, F., The Tao of Physics. Berkeley, Ca: Shambhala, 1975. Campbell, J., The Hero with a Thousand Faces. New York: Pantheon, 1949. Deal, Terrence E. & Kennedy, Alan A., Corporate Cultures. Menlo Park, CA: Addison-Wesley Publishing Company, 1982. Eliade, M., Rites and Symbols of Transformation. New York: Harper and Row, 1975. Grof, S., Realms of the Human Unconscious. New York: Viking, 1975. Jung, C., Man and His Symbols. Garden City, NY: Doubleday, 1969. Katz, Daniel, Kahn, Robert L., and Adams, J. Stacy, Eds., The Study of Organizations. San Francisco: Jossey-Bass, 1980. Mager, Robert F. Preparing Instructional Objectives. Belmont CA: Fearon Publishers, 1962. Maslow, A., The Farther Reaches of Human Nature. New York: Viking, 1971. Michalak, Donald F., & Yager, Edwin G., Making the Training Process Work. New York: Harper and Row, 1979. Ornstein, R. (Ed), The Nature of Human Consciousness. San Francisco, CA: Freeman, 1973. Progoff, I., The Symbolic and the Real. New York: McGraw Hill, 1963. Pribrim, K., Languages of the Brain. Englewood Cliffs, NJ: Prentice Hall, 1971. Roberts, T. (Ed), n Four Psychologies Applied to Education. Cambridge, MA: Schenkman, 1974. Selye, Hans, The Stress of Life. (Rev. ed.) New York: McGraw-Hill, 1978. Weiser, John, & Yeomans, Thomas, Readings in Psychosynthesis: Theory, Process, & Practice. Toronto, Ontario, Canada: Dept. of Applied Psychology/The Ontario Institute for Studies in Education, 1985.